ABU DHABI and DUBAI, UAE: PRNewswire: DarkMatter, an international cyber security firm headquartered in the UAE, announces the introduction of its Cyber Resilience Platform, a first-of-its-kind city-wide dashboard that helps visualise the readiness of critical entities against cyber threats. The platform succinctly demonstrates the cascading effect of cyber breach on separate, yet interconnected critical entities in a smart city environment, allowing for the first time, a contextualisation of the impact of a cyber breach on entities individually as well as collectively. The Cyber Resilience Platform allows city authorities to predict and react timeously to cyber threats, with the powerful tool acting as a playbook for a city to be able to see how its critical entities are working individually, and as part of a wider interconnected, smart environment. The holistic platform builds on DarkMatter’s outlook to add cyber resilience end-to-end in a digital environment and is an extension of DarkMatter’s Cyber Security Life-Cycle outlook, which incorporates a four-stage approach to cyber security involving planning, detection, protection and recovery. Using sensors, interconnected services and decision-making algorithms to help entities predict, monitor and manage cyber incidents in near real-time, the platform is also scalable, and transferable so entities of any size, across multiple sectors that can benefit from its predictive capabilities. The platform’s output from analysing resilience is used to monitor the actual status of systems, so it becomes a tool that produces actionable intelligence rather than offering just theoretical scenarios. The pace of digital transformation, and the instrumented, intelligent, and interconnected nature of modern digital networks means a more interactive and all-inclusive approach to assessing cyber resilience is required, which is what the platform delivers. 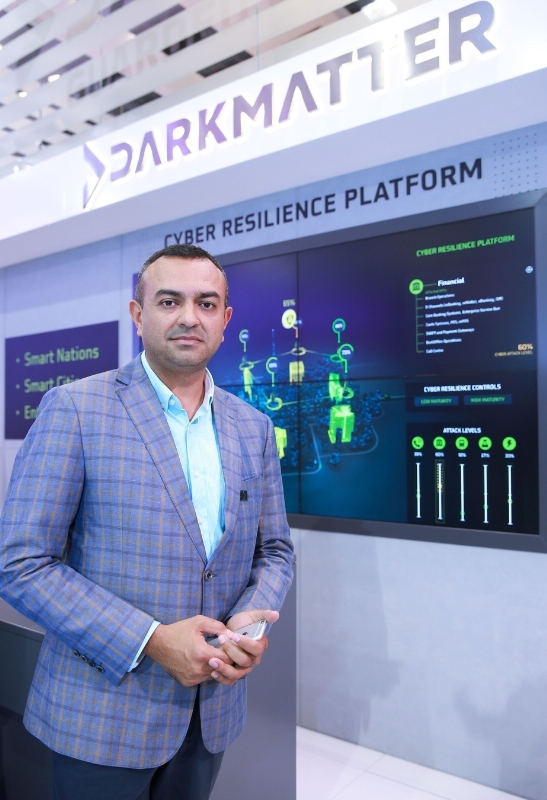 To see the Cyber Resilience Model demonstrated live, please visit the DarkMatter stand at booth number Z-C30, Za’abeel Hall, GITEX Technology Week, 16-20 October 2016, Dubai World Trade Centre.